APIA Heritage Month has come and gone, and in its wake, I’m reminded more than ever of the current stakes for our community. It’s been a tumultuous last few months. Beginning in April, just after AWP and as LR was planning its collaboration with the American Bookbinders Museum, a wave of painful incidents once again demonstrated the challenges of Asian American representation. It started when the New Yorker published Calvin Trillin’s racially tone-deaf poem about Chinese food, “Have They Run Out of Provinces Yet?,” and continued with reports of yet more yellowface casting in Hollywood, a Facebook post by Mark Doty that made sport of the English on a Chinese restaurant’s menu, and, most recently, manifested itself on television, when Ann Coulter insisted that all Asian Americans ought to be referred to as “Mandarins.” With Michael Derrick Hudson’s engagement in literary yellowface in last year’s Best American Poetry and Chris Rock’s use of Asian American children as props at the Oscars still fresh in our memories, we couldn’t be blamed for feeling that lately, the assault has been relentless. Again and again, we’ve seen the Asian American body become yet another object on which others have imposed their own narratives of fear and foreignness. Repeatedly, we’ve found ourselves fighting for the right to own our bodies and the cultural narratives that they inhabit. Throughout all of this, we’ve witnessed the beauty and strength of a community rising up to make itself heard, but we’ve also wrestled with the reality of watching those who’ve spoken out be continually dismissed and silenced. 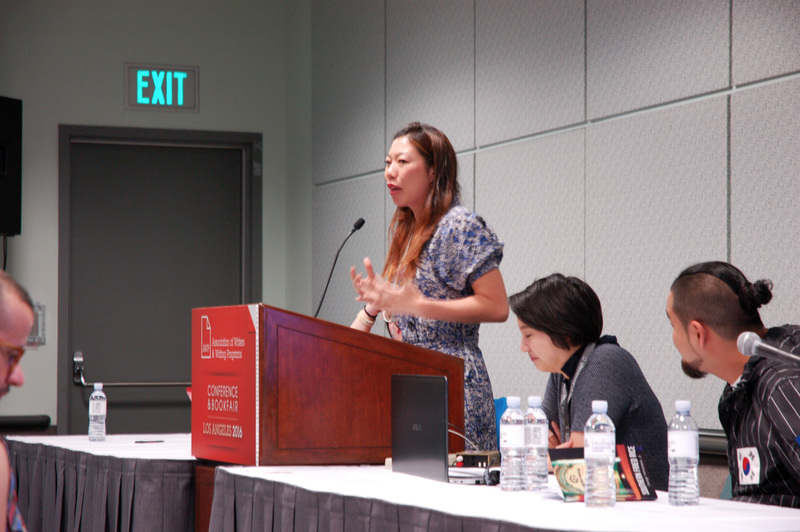 Kristina Wong speaks out about the prison system during HYPHEN’s AWP panel. After Calvin Trillin’s poem was published, Asian American writers all over the nation responded en masse, making their criticisms known on Twitter and Facebook, writing letters to the New Yorker, crafting response poems and parodies (many of which the AAWW later documented in this helpful post at the Margins), publishing critical essays (e.g. Timothy Yu’s prescient essay in the New Republic, Paula Young Lee’s incisive article for Slate, Wendy Chin-Tanner’s thoughtful piece at XO Jane, and Neil Aitken’s analysis for the podcast Racist Sandwich’s blog), and giving interviews on the radio (e.g. 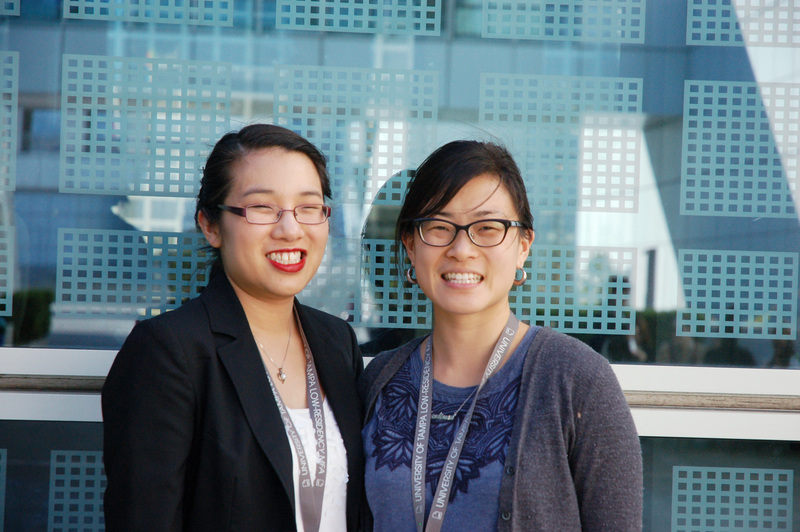 Hyphen editor Karissa Chen’s appearance on the Heritage Radio Network show, Eat Your Words). The public backlash to these responses was swift and unmerciful. The Huffington Post published a blog post positing that anger was an inappropriate, even unfair, response because of Trillin’s age. Joyce Carol Oates tweeted a ditty that described Trillin as “misunderstood.” Yu, Chen, and countless others who spoke up were harrassed by strangers on social media who characterized them as hysterical, berated their “oversensitivity,” and called their credentials into question. The message, it appeared, was that Asian Americans’ right to speak about our own cultures and experiences, to tell our own stories on our own terms, did not matter—at least, not as much as protecting the right of a white man with considerable privilege and status to speak for us (even if at our expense). Barbara Jane Reyes reads at the American Bookbinders Museum. The public hostility toward those who dared to question Trillin’s poem was clearly symptomatic of the more general failure to acknowledge the nuances of problematic racial discourse in our country, as well as of the ways in which the voices of people of color are constantly “talked over” by white people in positions of relative power. But Calvin Trillin was not the only party to blame. The editors of the New Yorker failed just as much in their roles as literary gatekeepers: first, when they decided to publish Trillin’s poem, and again, when they declined to address readers’ concerns about its appearance in the magazine. As I watched the bitter aftermath of the incident unfold before me on LR’s social media feeds, I was reminded of something that Barbara Jane Reyes had observed during our reading at the Bookbinders Museum in reference to Theresa Hak Kyung Cha’s Dictée. The question at the heart of the matter for both Cha and Asian American voices today, Reyes said, is always this: Who gets to speak for us? Who gets to tell our stories? AAWW director Ken Chen opens the Asian American caucus at AWP. The Trillin incident and others of a similar bent have served to highlight one of the most pressing issues in the contemporary publishing industry: in this country, the people who make decisions about whose work gets published, the people who are responsible for selling books, and the people who review books—essentially, those who serve as the gatekeepers for what literature gets read and how works are received and consumed by the public—are an overwhelmingly homogeneous group. According to a recent survey of the publishing industry by Lee and Low, 86% of publishing executives across the industry are white, as are 82% of editorial staff and 89% of book reviewers. Is it any wonder that, even as the demographics of the US population shift toward greater and greater racial diversity, the face of published literature in our country has remained eerily static, and the mainstream publishing industry has found itself ill equipped (or even seemingly disinclined) to adequately represent diverse literary voices? 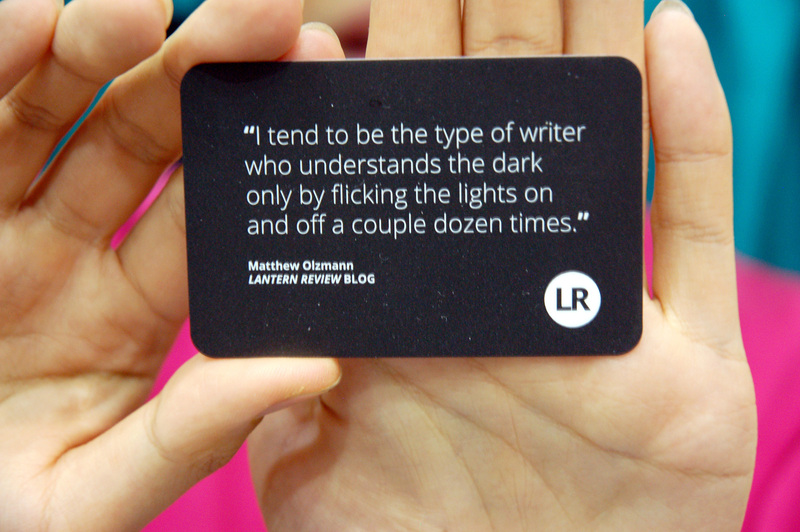 Poet, activist, and performer Wo Chan shows off a quote from Matthew Olzmann about seeking light in darkness. It’s clear to us here at LR that there is great hunger and need within our community. 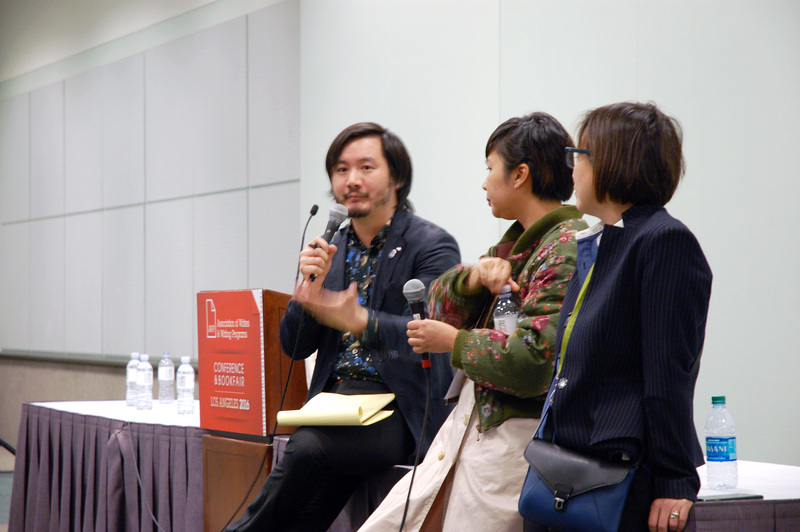 We heard several pressing concerns repeatedly expressed at the Asian American caucus at AWP: How do we build safe, alternative spaces for our communities and for our work? How do we get publishers to pay attention to our writing? How do we build understanding of and appreciation for the value of storytelling, literature, and art within our communities and families? How can we assist students who face lack of institutional support within their programs? How do we ensure that the people who do the work of standard-bearing and gatekeeping in our communities receive credit and compensation for their work, and how do we make sure that we do not allow them to burn out? We have a tall order set before us. So where can we begin? Here are just a few thoughts. It’s that time of year again! 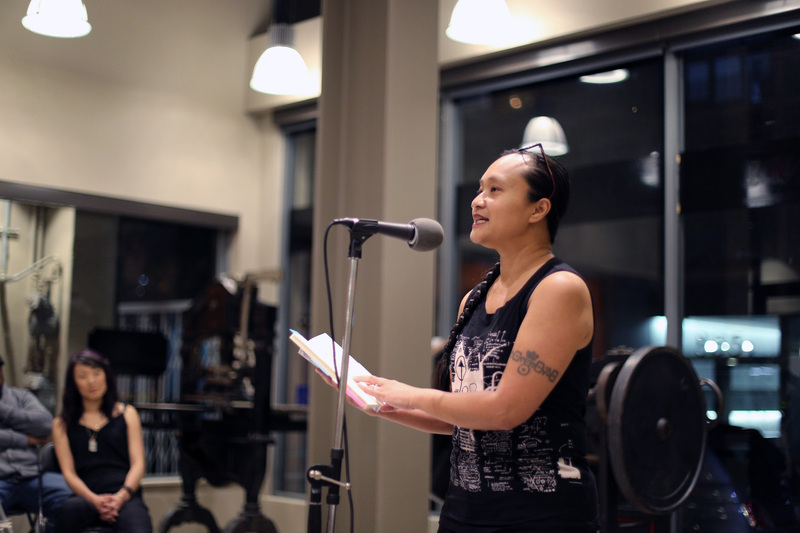 AWP 2016 starts this week, and as has been our tradition in the past, we’ve put together a guide to APIA poetry-related happenings at the conference, featuring panels, readings, and offsite events that might be of interest to our readers, below. As a bonus, we’ve also created a free companion to the bookfair that you can download at the end of this post. So get out your planners and calendar apps! We hope you’ll find this information useful—but even more so, we hope you’ll enjoy getting to engage with the extraordinary wealth of events celebrating the creation, dissemination, and teaching of APIA poetry at AWP this year. Please note: this list is by no means comprehensive. We have tried our best to curate a sampling of APIA poetry- and publishing-related items below, but we encourage our readers to check out any of the vast number of other panels, readings, and offsite events featuring individual APIA writers (including many past LR contributors) at the conference this year. The Lantern Review team will be attending the conference this year, but unlike in previous years, we won’t be stationed at a table in the bookfair. Instead, you can find us floating around at some of the panels and readings listed below. We’ll also be selling books for Kundiman at the Literaoke offsite event on Friday night, and you can catch us at the Asian American literary caucus on Thursday evening. We’d love it if you stopped by to say “hello”! Can’t make it out to Los Angeles for the conference but still want to be in the know? Follow us on Twitter or Instagram (@LanternReview) for live updates throughout the weekend. Since then, I (and we, as a team here at Lantern Review) have been to many more conferences. We’ve been the editors standing behind the bookfair table talking to first-year MFA students. We’ve been the panelists nodding at shy attendees who’ve worked up the courage to ask us questions. And over the years, we’ve learned that with a little bit of strategic preparation, it’s possible for an emerging writer without many contacts to make a great impression and establish lasting connections at an event of even AWP’s scale. 1. Establish an internet presence. You’ll meet a lot of people at any conference, but in order to facilitate follow-up, you’ll need to provide your new contacts with a place to land if they look you up online. Of course, not everyone is into social media (and we like what Molly Gaudry has to say about not trying to fake your enthusiasm for it). But even if you can’t tell a hashtag from a Twitter handle, we highly recommend that you create some way for people to search for and find you on the internet after the conference has ended. At the most basic level, we suggest using a free service to set up a simple website or blog for yourself. 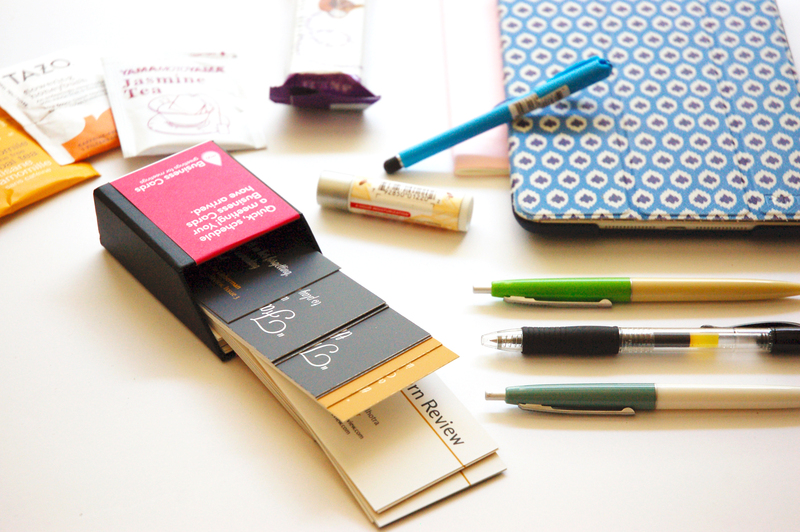 We know lots of writers who have made great use of sites like Wix and Tumblr, but our personal favorite is WordPress.com, which offers a wide selection of free design templates; employs an easy-to-use interface that doesn’t require coding knowledge; and comes with a powerful website stats plugin that lets you see who is visiting your site and how they’re finding it. However you choose to do it, the following two tips are key: keep the focus of an author website on yourself rather than on a specific book or project of yours (this will give the site greater longevity), and make sure that the full name under which you publish your creative work is in your URL, profile, and/or username (otherwise, readers and editors may have difficulty finding you). If you already have your own website and/or active social media accounts, the few days before a conference are a good time to make sure that everything there is in order: make sure your most recent publications are listed on your portfolio page; update your author bio and photograph; check that your list of upcoming events is current. After a conference, when you’re no longer interacting with other writers face to face, your web presence is everything, so doing the necessary maintenance work on the front end will enable you to put your best foot forward when you step onto the convention floor. LR cofounders Iris and Mia announcing the good news. 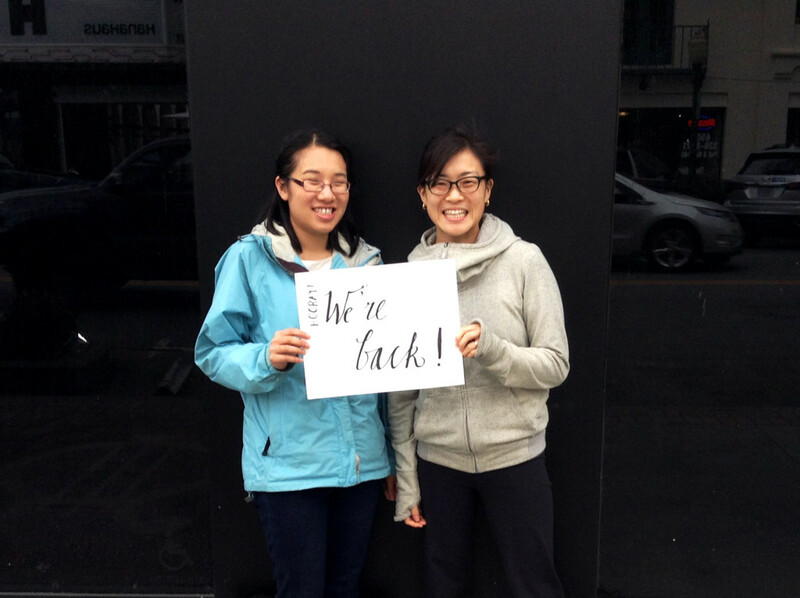 That’s right—we’re back! We’ve officially ended our hiatus and are thrilled to announce that we’re rested and ready for this new season of Lantern Review. For the very first time, our cofounders are living on the same coast, not to mention in the same geographic region: the San Francisco Bay Area! We look forward to discovering what it means to rebuild our editorial endeavor in the context of the Bay Area’s thriving literary arts scene, in the wonderful company of so many other editors, poets, publishers, and artists of color. We also foresee many more exciting opportunities to cultivate regionally based community, though we’ll continue to function with our national and international readership in mind. Along with an eventual relaunch of the magazine, you can expect new, exciting content on our blog, which we’ll continue to update regularly, and a fresh look—which, hopefully, you’re already enjoying. We’re starting small, but, as before, our goal is to provide a clear, up-to-date sense of what’s happening in the Asian American poetry scene and areas of related interest. Later this month, you can also expect to see us at AWP. We’ll be there, cruising the book fair, attending panels, and looking to connect with Lantern Review readers and contributors—both past and future. We’ll be posting more soon about where we’ll be during the conference, so if you plan to attend, be sure to look out for that information, and please come find us in LA! 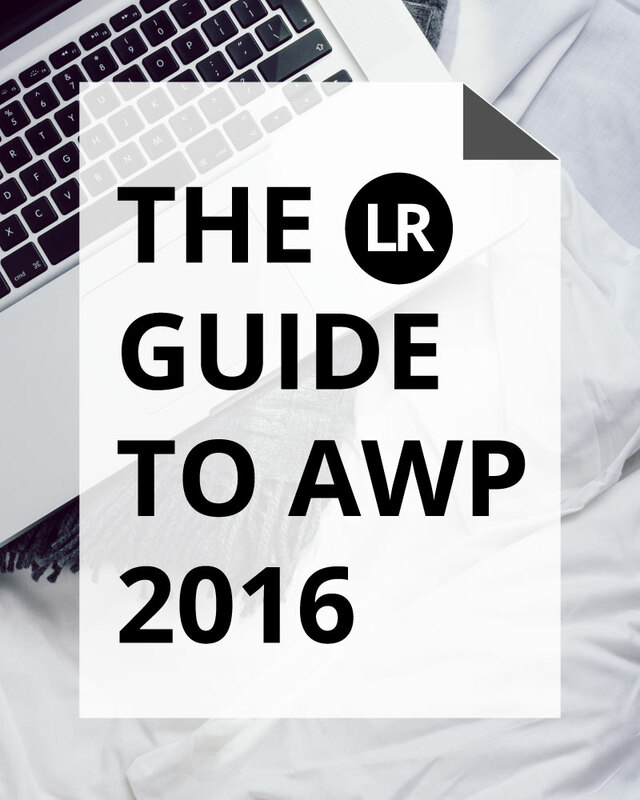 For now, stay tuned for more updates on our blog, and if we don’t see you at AWP 2016, we hope we’ll get to hang out with you sometime in the Bay!